Good morning and happy Easter. It's the start of British summertime today and I've remembered to put all of my clocks forward an hour this morning, I'm sure that I will feel the effects of losing an hour a bit later on. 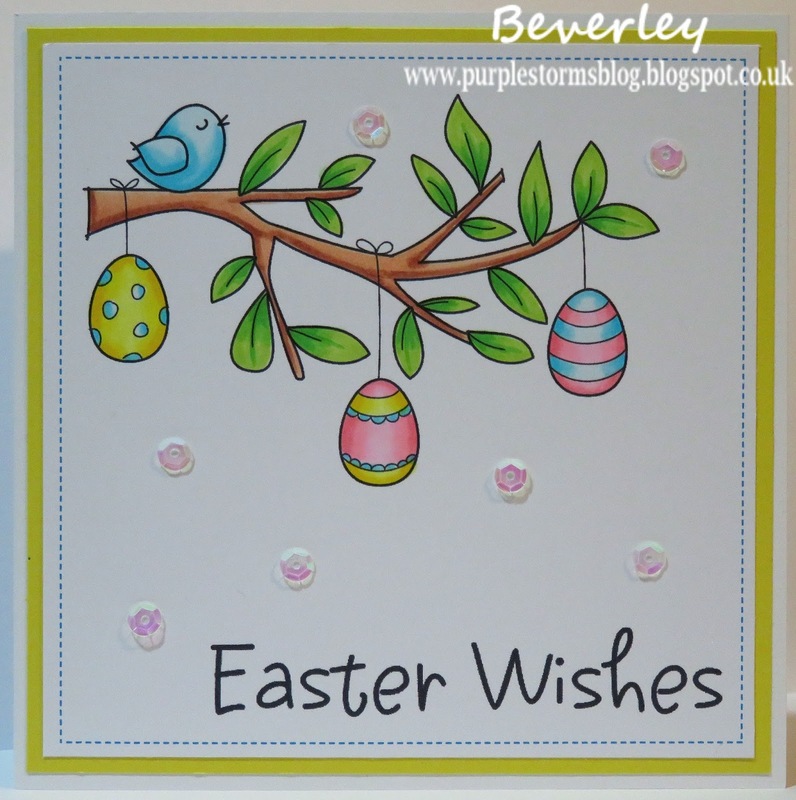 I just thought I'd share a couple of the Easter cards that I've made using images from Digistamp Boutique. The first card was for my 3 year old niece so I wanted a cutesy image. Daisy from the Digby and Daisy set by Digistamp Boutique coloured with copics. The DP's are from my stash, they have got separated from the rest of the paper pack so not sure of the make or name. The next card I made is a one layer card so I made a few of these with different colour variations to send to a different people. The image and greeting are from the Easter Branch set by Digistamp Boutique. 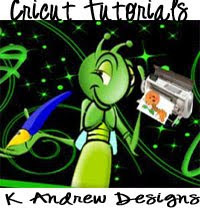 I have printed the image and greeting on a 5" square piece of smooth card and coloured with copics before mounting onto yellow card (it looks a bit lime green in the photo but it is yellow). I then just added a few sequins. Have a great Easter and enjoy all those chocolate eggs. Ganz ganz toll! Danke für die Teilnahme bei den Animal Friends. 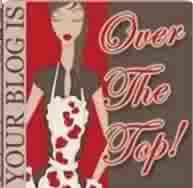 This is a beautiful card and a sweet image. 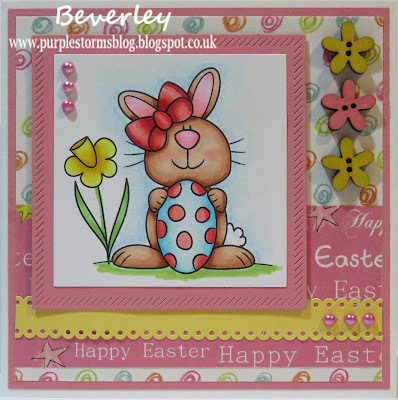 Hi Beverley, this is a really pretty card - such a super cute image and lovely colours and layout. Thank you for joining us this time at A Gem of A Challenge. 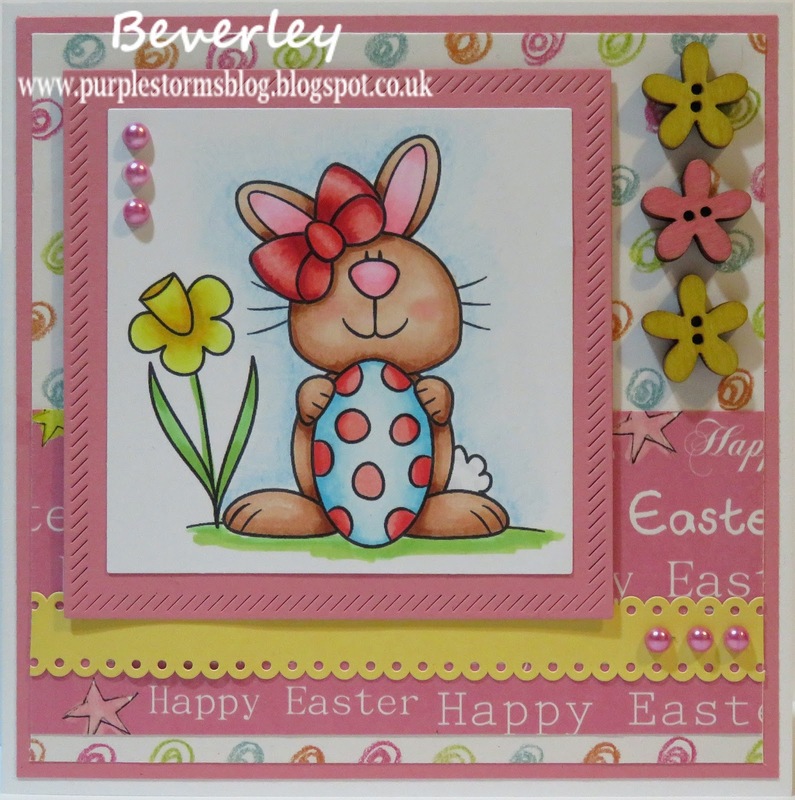 Beautiful Easter card! 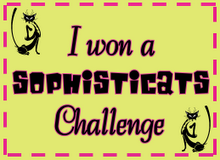 Thanks for joining in with a Gem of a Challenge this time! Beautiful cards - love your colouring.